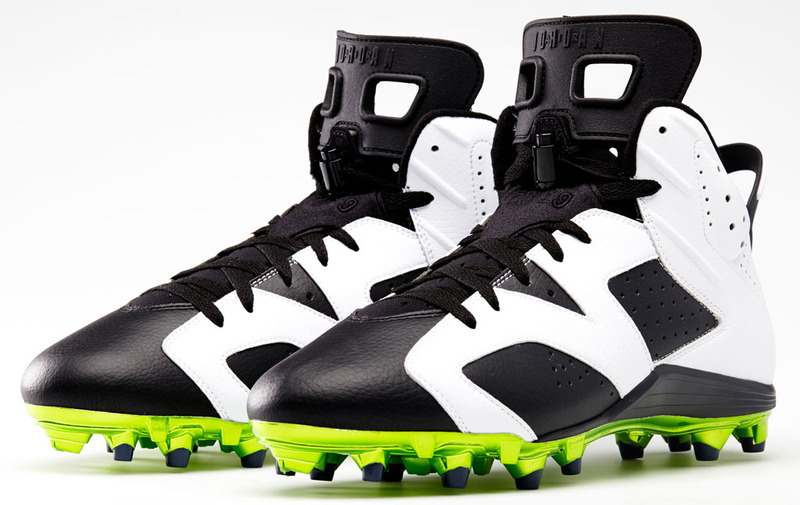 Like Michael Jordan in 1991, Michael Crabtree and Earl Thomas will each lace up the Air Jordan 6 in this weekend's playoff games with their eyes on a championship. 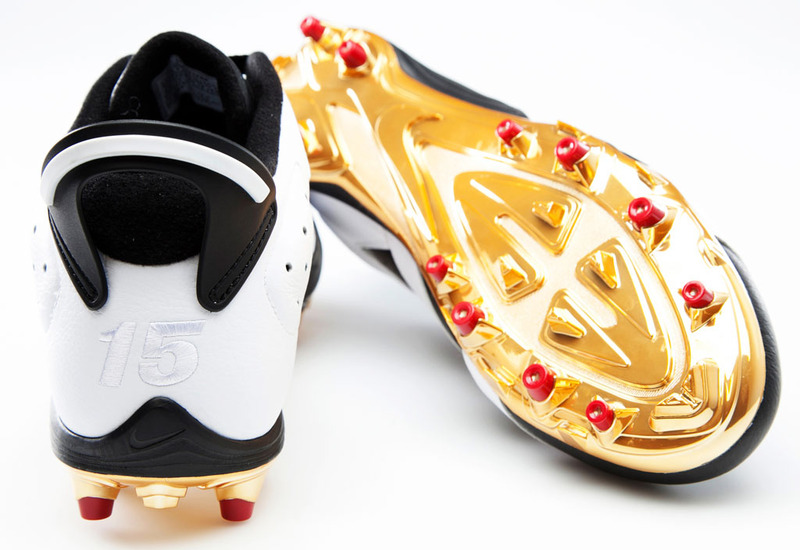 Crabtree returned from an Achilles injury in November and helped the San Francisco 49ers win their playoff opener last week by catching eight passes for 125 yards. 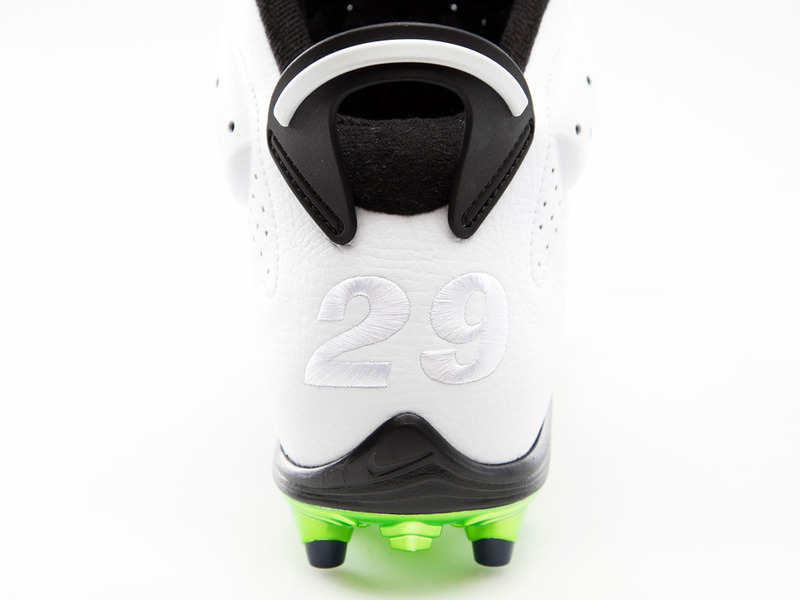 His low-top Air Jordan 6 PE sports a black and white upper with his number '15' embroidered on the heel. 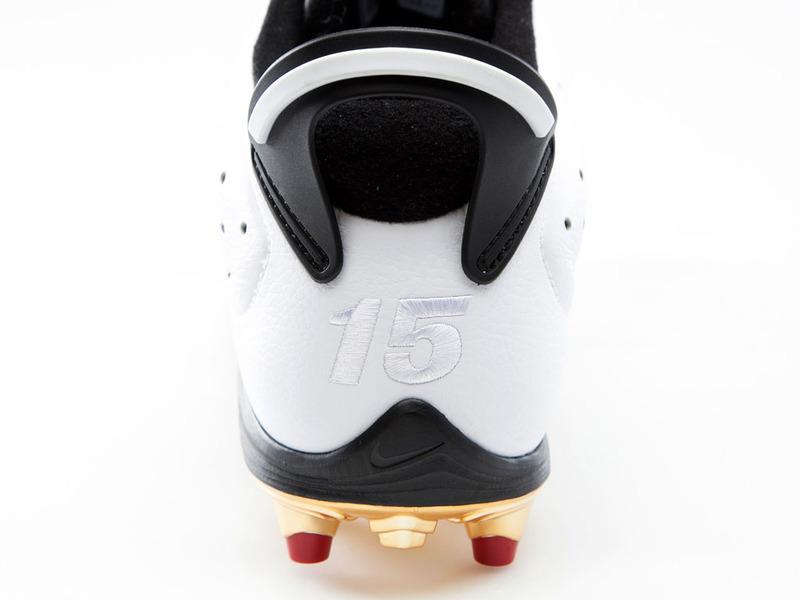 The plate features a solid metallic gold finish with gym red cleats. 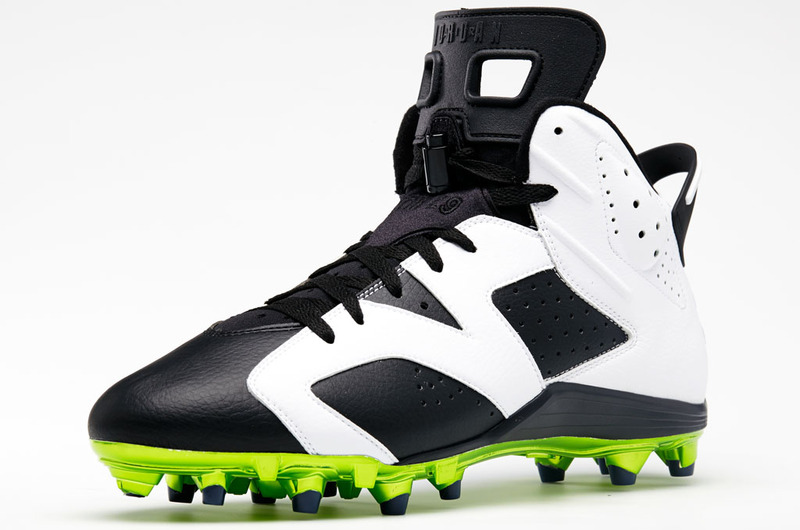 In his first game in this year's playoffs, Seattle Seahawks defensive back Earl Thomas will wear a traditional mid-cut Air Jordan 6 in black and white with his number '29' on the heel, a green plate and isolated navy cleats. 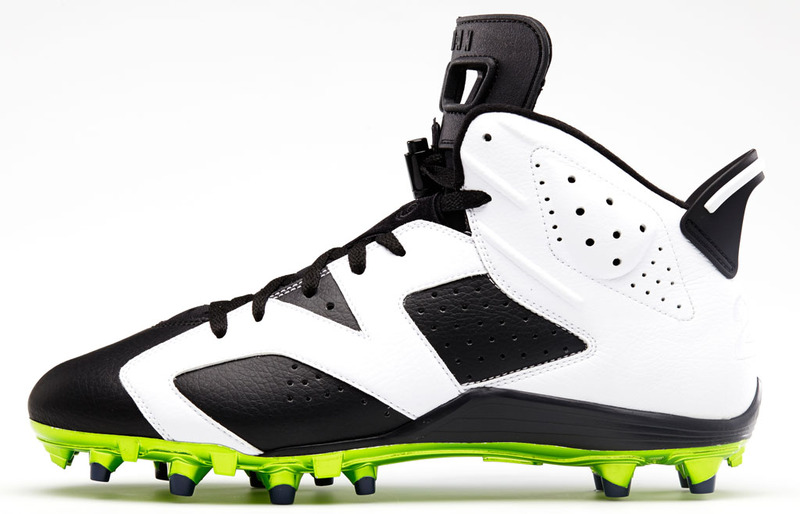 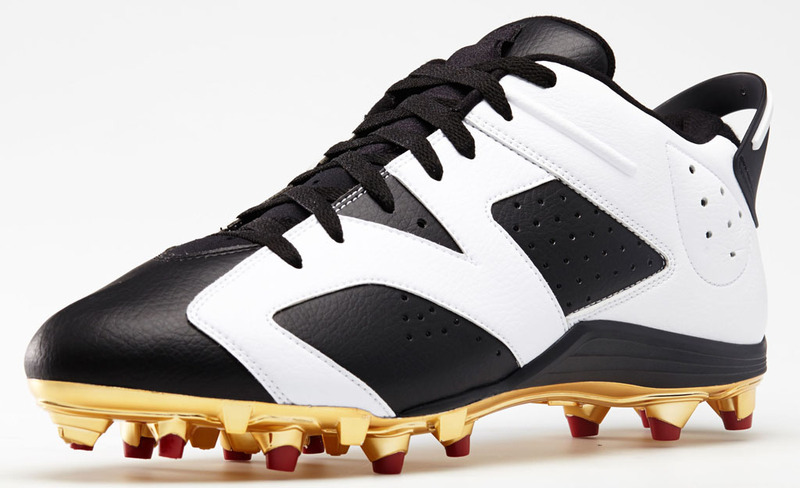 The Air Jordan 6 cleat will be available to fans and players worldwide at select retailers this summer.